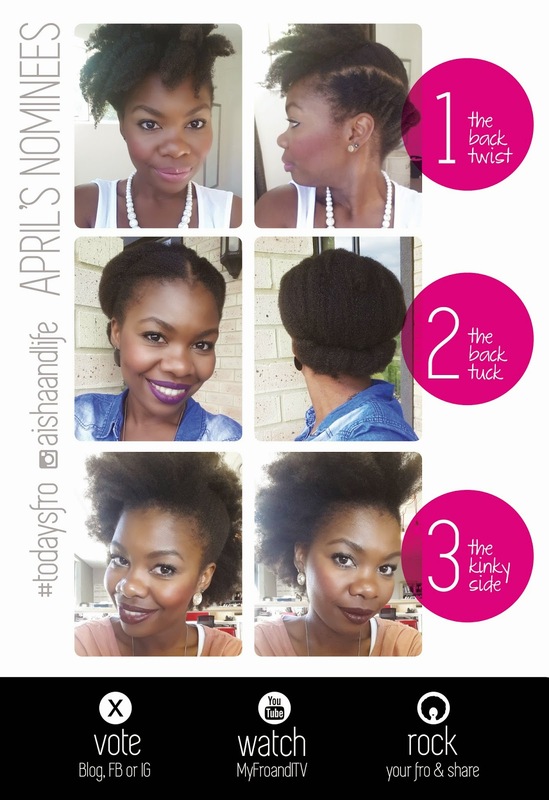 It’s time for you to vote again for your #todaysfro video tutorial! Voting’s now closed. Thanks for voting! Previous Post Is Natural Hair Really Harder to Manage Than Relaxed Hair? wow!!! i love your hair. I just LOVE your updos! Very inspire me to try new things. Even our hair textures being different. Thanks so much Debora, you're so sweet! Gorgeous! I love how you easily do quiet and loud styles! Am so not waiting for tutorials on your "another accidental style I'm uh kinda loving" posted on your IG. I have been wondering what style will suite an african print dress for work and that one is it!! So excited.